Hilton is picking up the tab for workers to get their high school diplomas. The hotel company will cover the costs for employees to prepare for and take the tests to earn a high school equivalency diploma. Hilton (HLT)is partnering with the nonprofit Council for Adult and Experiential Learning (CAEL). Employees who choose to take part will get one-on-one sessions with an adviser -- an initial meeting and weekly check-ins -- as well as study guides or online test prep tutorials. Hilton will also cover the cost of the four-part GED test, which averages $30 per subject area, according to CAEL. While obtaining a GED won't be directly tied to a worker's pay, it could help in the future. "We believe that successfully completing the program will lead to career advancement opportunities and the chance to increase pay," said Matt Schuyler, chief human resources officer at Hilton Worldwide. All full-time employees who have been at the company at least six months can take advantage of the new perk. The company said roughly 5,000 workers do not currently have a high school diploma. CAEL has worked with other companies to offer various career and education resources, including McDonalds, Starbucks (SBUX) and Verizon (VZ). In April, McDonalds announced it would cover the costs for workers' classes to obtain a high-school diploma. 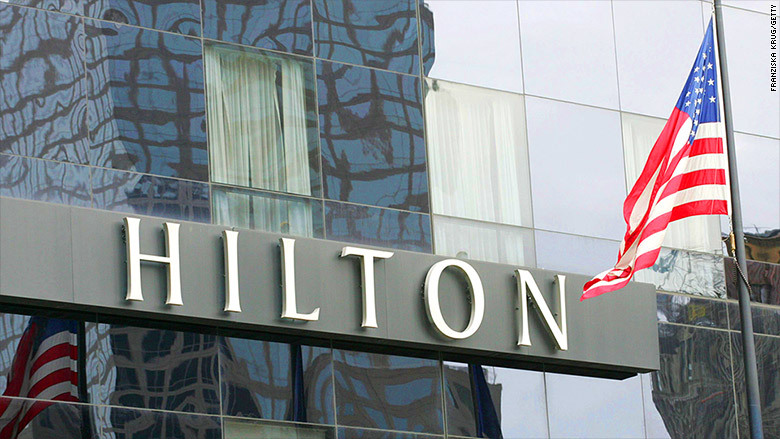 Last month, Hilton beefed up its parental leave benefits. Starting next year, all new mothers at the company will get 10 weeks of paid maternity leave. New fathers and adoptive parents will be able to take two weeks at full pay.